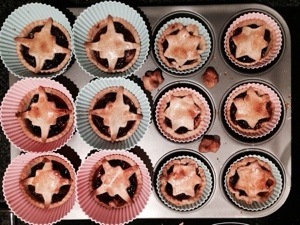 Can’t say these were 100% my own work, but thanks to Mum & Max, they taste delicious! Also a great reminder that recipe substitutions can work really well – spelt flour instead of plain, and raspberry liqueur for brandy as two good examples! Can I order more for Christmas Eve?